The apartment was very modern, clean and complete and it was great to have the supermarket just around the corner. Clean modern apartment only 20mins walk to Tower Bridge. I love this location and I've stayed there many times before; however, this was the first time I ever booked at this apartment. The location was really good. 10 min walk to tower bridge. Near a few supermarkets Near public transport Morgen apartment Wifi works well. The fully equiped kitchen, lots of storage and plenty of natural light. A small supermarket is literally across the street from the aparment. It was easy to find and because I was visiting a relative at guys , within walking distance . The apartment was super clean, all the rooms clean. Utensils and crockery to a high standard. The apartment cleanliness. The key man Tom, friendly and professional. 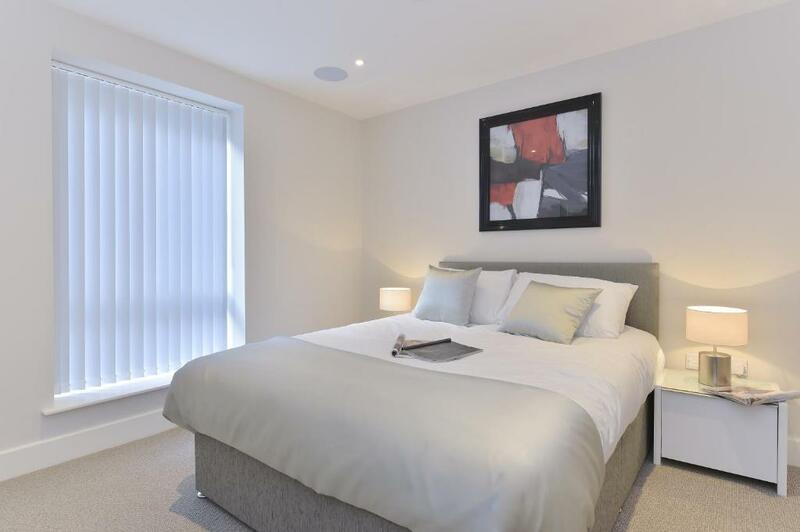 Tower Bridge City Apartments This rating is a reflection of how the property compares to the industry standard when it comes to price, facilities and services available. It's based on a self-evaluation by the property. Use this rating to help choose your stay! One of our top picks in London.Located in London with Tower Bridge and Tower of London nearby, Tower Bridge City Apartments provides accommodations with free WiFi. Each apartment features a dishwasher, oven, a coffee machine, as well as a microwave and kettle. A flat-screen TV and DVD player are also available. London Bridge is a 13-minute walk from Tower Bridge City Apartments, while Sky Garden is a 16-minute walk from the property. 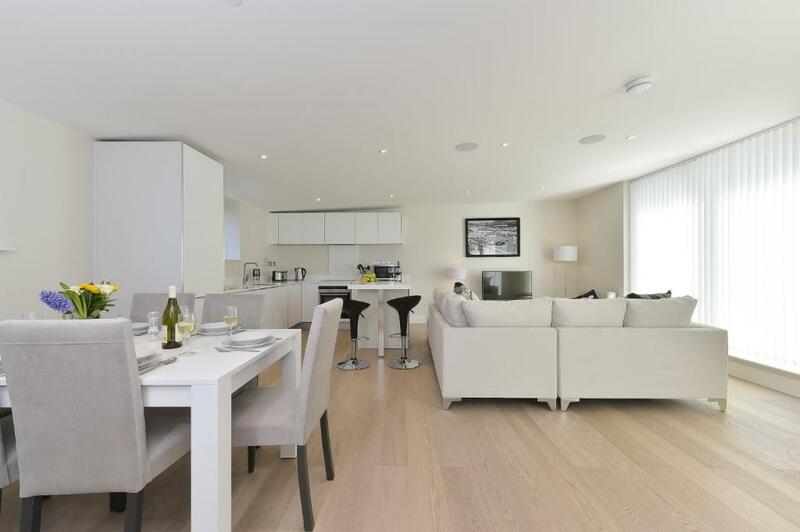 When would you like to stay at Tower Bridge City Apartments? This apartment has a tea/coffee maker, seating area and toaster. This apartment has a DVD player, electric kettle and dining area. 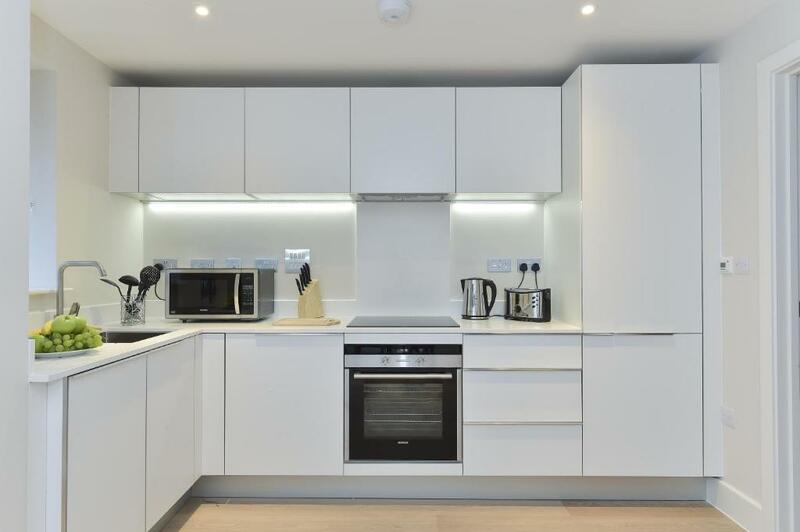 This apartment has a electric kettle, sofa and oven. House Rules Tower Bridge City Apartments takes special requests – add in the next step! All children under 2 years are charged GBP 20 per night in a crib. Tower Bridge City Apartments accepts these cards and reserves the right to temporarily hold an amount prior to arrival. To check-in, receive keys and pay for the stay, guests are requested to go to the agency by Camden Town Station. Please note that your apartment is at a different address. This will be provided after booking if required. Luggage can also be left at the office in case of early arrival. Please note, payment for the cleaning fee is required upon arrival. Guests are required to show a valid (government issued) photo ID along with the same card that has been provided for the booking. Check-in after 20:00 is available upon prior request for an extra cost. Check-out after 10:00 is possible for an additional fee of GBP 40.00, subject to availability and by prior arrangement. Late check out is up to 13.00. Please note that parties are not allowed on the property. Guests found breaking this rule will be charged. In one of the rooms we missed having a wardrobe. On our last day there was an incident through street works and the fire alarm went on and the fire curtain in the apartment went down around 7am. Unfortunately as the office was closed we couldn't reach anyone before 9 and the technician came only at 7 to help. As we had some stuff in the second floor we were not able to check out at 10. We were only lucky that we still managed to catch our flight having all our stuff. The sink in the bathroom is way too small and unusable. The check-in and the key collection is in a different location, which is very inconvenient, especially if you are not aware of this in advance. For us it wasn’t a huge issue as we used the opportunity to explore the Camden market, which is a great place with lots of street food stands and small shops. Hidden costs - I booked via the App and was not aware of the £40 cleaning charge. Keys on the other side of London - no reception only a grubby office miles away. TV not working, Cheap bed, damaged linen, smelly toilet, dirty carpets.. i could go on. Having to collect the keys on one side of London and going to the apartment on the other side of London seemed very strange. There should be a better system. We were not made aware that we had to go up 3 very narrow, steep flights of stairs. I travelled with my elderly parents so this made it extremely difficult carrying luggage up to the apartment. The apartment has good facilities but do not supply soap (a bit weird) and there was not a fry pan in the kitchen to cook dinner. It is also in a very noisy location, with sirens going off all night. We were unable to checkin until after 3pm and checkout by 10am which is very difficult in peak hour traffic, perhaps a later checkout could be offered. Overall the appartment was adequate for the amount of time we were there. ridiculous journey from picking up keys, wifi didn't work, no iron. no decent towels. It was that poor I only stayed for one night and checked into another venue. Lift was out of order, hard work on the stairs with luggage! The key pickup is a about 30 min travel from the apartment, which is very inconvenient when travelling, and if you are not confident using the subway this may take longer. This would have been fine though, but when we arrived at the apartment with all our bags and 6 people that had been travelling since 3 in the morning we realized the service gave us an apartment that was nothing like the pictures on booking.com. When we called them to ask what this was, they debated us on the standard of the apartment. After some arguing, we ended up getting another apartment from them but we had to go back to get the keys and then move apartments. The other apartment was much more like the pictures. This whole process took 5 hours of our trip, which was only 4 days. So in sum, not very accommodating and need to work on their service. This experience felt like a scam. Where they have a few apartments like the ones shown on the pictures, new and modern. But then also have others older that are not so nice and try to give people those instead for the same price. Will not be using this service again and won´t recommend. The location of the key pick up. The apartment I booked was not the one I was allocated. Paying £40 cleaning fee in cash, should have been added to the original price. Great apartment! Spacious and very new looking. Had everything we needed.